The first rule of writing a novel is to have your book professionally edited. 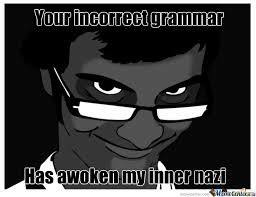 I was a master English teacher for ten years and I'm not afraid to admit I hate grammar. I hate studying it. I hate teaching it. I hate thinking about it while I'm writing. Seriously, the only C's I earned toward my Education degree were in Language for Teachers or something like that. Okay, the teacher was a misogynistic jerk and a prima academia lordling, but I really hated diagramming sentences and the like. I taught grammar in a quick and dirty way that entertained me and my students. I will say I'm proud of my Jabberwocky work and I think students left my classroom with some skills. Don't get me wrong, I can spot terrible grammar immediately. I've quit several books because the poor grammar burned my eyes. My writing is an entirely different animal. If you're wrestling or have wrestled a novel into submission, you know that in addition to getting the words into the blank space, you've read the manuscript five hundred times. No matter how egregious your mistakes, you become blind to them. Also, after sixty thousand words I think my brain gave up spelling any word correctly. I have two writing ticks. Passive voice (wince) and British spelling. I don't know what's up with that one. I think it must be more pleasing to my eye. No matter the path to publishing you are trudging, get your finished work edited! By a professional! Save up your money. Make your own coffee. Pack your lunch. I don't care how you scrape it together, but save it up. 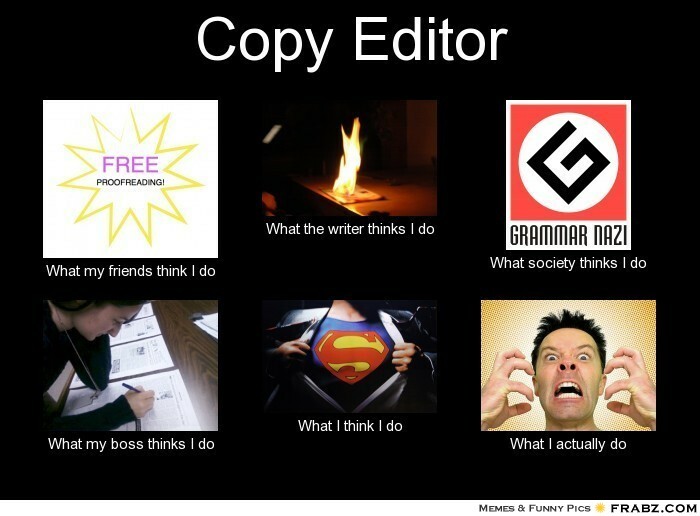 It's no secret, I've had wildly mixed experiences with editors. On The Esau Emergence, I ended up with three different editors who bailed on the project because of time commitments and family crisis. I finally found an editor who I thought I had a connection with only to find the comments and critique marginally snarky and grossly inappropriate for the genre. I have landed on an editor whom I have confidence in. Not that she doesn't critique or comment on my work, but rather she frames it in a way that isn't sarcastic (most of the time) or nasty. She also leaves little tidbits that encourage occasionally. I love scanning through her edits to find the brief, "Loved this!" Sure, I still pace and argue with her notes. Some I don't do anything about, but most often I come round to understand her suggestions will help the narrative. Trust me, it will make a difference no matter where you're submitting your work. I have a wonderful with Five Star and feel she has taught me more about writing than all the classes I took put together. I agree. Having another eye helps you see how to more clearly structure your storytelling. Sometimes it seems that editing isn't very important stage of writing. It can be because you have spent a lot of time on writing and now you feel exhausted enough to revise your text thoroughly. In such situation you may need a help of professional editors who can read the text with fresh eyes and correct mistakes. For example, this service will help you with writing and editing an essay: http://www.professional-essay-writing.com.